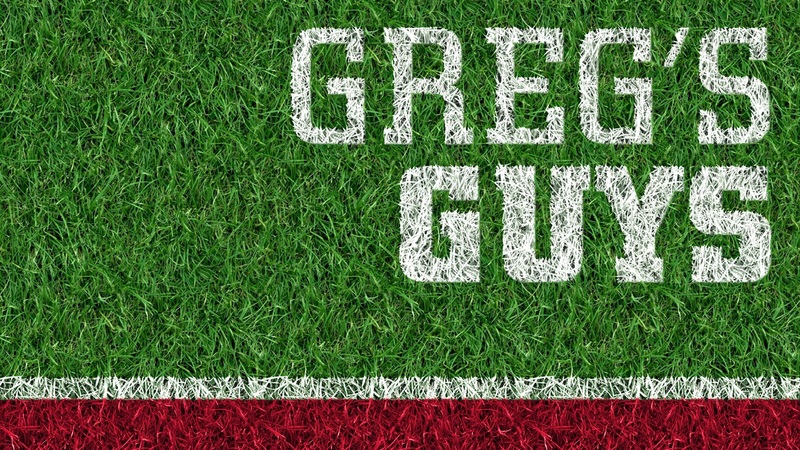 We are now into the dead period in recruiting that will run until July 24 but that doesn’t mean you guys don’t get a fresh Greg’s Guys list. Coming out of camp season, there are some movers and shakers on the list. You’ll also notice a couple of new names on the list as well. Here are the top 10 players for the class of 2019 based on Nebraska’s needs, how a player fits in the scheme and talent. We keep this list fluid and that’s what makes it fun! There has been no change in Henrich’s plan to make a summer decision before he starts on a potential state-title run with his Omaha Burke teammates. That looming decision is the biggest thing hanging over Husker recruiting right now. His only official visit (so far) went to Wisconsin, but he immediately returned to Nebraska’s campus after the trip. He is a huge priority in this class and nabbing him would make a big statement to the conference. The versatile defensive lineman has a great relationship with Nebraska following his two trips to Lincoln this spring, including the spring game. During the spring, it felt like he was cruising towards a Nebraska commitment but things have slowed down. Don’t be surprised if he takes a couple of official visits in the fall but Nebraska is still in a great position with him. He has the frame and versatility to play anywhere along the line for Mike Dawson. Johnson is one of the top junior college players and has been all over the country this spring and summer. The 4-star OLB visited Nebraska in May before visiting Georgia and Minnesota. He also took trips to Arizona State and Oregon. The Georgia trip made a huge impression on the defender, who is originally from Minnesota. Johnson is a game-changing edge rusher that Nebraska would love to have in the fold. Nebraska remains in a strong position to steal the defender out of Iowa. For most of the spring there wasn’t much new interest in him but that changed in June when Michigan State offered and he took an unofficial visit there while on vacation with his family. The Huskers staff continues to recruit him hard as defensive coordinator Erik Chinander is his main recruiter. Newsom is a great fit for what Nebraska wants on its defensive line. The Huskers have done a good job recruiting Hickman who has a great frame (6-6, 195) to grow into a rush defensive end or be a hybrid tight end in college. Nebraska is recruiting him as a tight end as he is forming a nice relationship with Sean Beckton. Hickman is one of the few tight ends that the Huskers are recruiting hard right now. Hickman is taking his time with the process and this recruitment is far from over. Wright is a very good prospect that could give Nebraska a true corner, which is needed in the 2019 class. Wright (6-3, 190) is the son of former Blackshirt Toby Wright so he is plenty familiar with the traditions in Lincoln. Wright saw his recruitment take off during the spring when UCLA, Arizona State and Louisville offered him. Oregon is also squarely on the radar for the physical cornerback who will take visits in the fall. Eaford is another prospect that Jovan Dewitt has identified that plays weakside defensive end in high school that Nebraska would move to outside linebacker. The 4-star prospect has announced his commitment date of Aug. 25. Aside from visiting Nebraska for the spring game, has has been to Clemson, South Carolina, Virginia, Auburn and Florida State. He holds over 40 scholarship offers and has a great relationship with Dewitt. The cornerback from Florida is making his debut on the list this month after being on the bubble for me previously. Mullen (5-10, 160) shows a great burst on film and is a willing tackler. He just received a ratings bump and holds over 20 offers. The corner already took an official visit to Pitt in June and the Panthers are a major threat. Look for the Huskers to secure an early official visit with him. Wide receiver recruiting for 2019 had been a bit of a mystery until Jamie Nance joined the fold. Now with one wideout in the class, the Huskers can be pretty selective in who they take with the one or two remaining slots at the position. The offense is very pass-catcher friendly so there should never be a shortage of recruits wanting to get to Lincoln. Pittman, a do-everything player, is the latest wideout from Calabasas with interest in the Huskers. Oregon is the leader for him right now so the Huskers need to get him on campus early in the season. Once again, I’m keeping a player committed to another team on the list. Henry has remained in contact with other schools since his commitment to Tennessee. I don’t have much reason to think he won’t end up taking official visits to other schools when the season starts. He did have a tentative official visit date before joining the Vols class so we will see if he still makes it to an early season game at Memorial Stadium.